Premier Canopies utilizes a process of printing referred to as "Gang-Run Printing" which provides affordable four-color printing. "Gang-Run Printing" will group your job with other jobs allowing overall production costs and expenses to be shared with our other customers. Because of variances in paper, equipment, inks, and other conditions between color proofing and production pressroom operations, a "pleasing color" [as determined by generally accepted trade technical methods] is to be expected with gang-run printing. When such a variation occurs, it will be considered acceptable performance. Premier Canopies accepts no responsibility for color variations between submitted files and the final printed piece achieved from utilizing the gang-run process. Under NO circumstances will a reprint be honored for color variations that have occurred during the gang-run printing process. If you require a more precise printed product please request a custom quote. By placing an order you are agreeing to all of our terms and conditions. premiercanopies.com reserves the right to upgrade the coating or quantity, at no additional charge, for any product ordered (excluding mailer pieces or unless otherwise stated in the details/special instructions). premiercanopies.com also reserves the right to use its sole discretion in refusing to print anything it deems improper or known to be illegal. premiercanopies.com is not liable for any damages resulting from unwitting violation of copyright laws or illegal use of trade names or slogans. The client guarantees the legal title of all matter submitted to premiercanopies.com for printing and/or publication. premiercanopies.com has and assumes no obligation to proof or otherwise review the content or layout of your order. Even if a premiercanopies.com customer service representative has inquired as to the attributes of one of your prior orders, you are not entitled nor should you assume that premiercanopies.com will review any other order you place. Orders are printed in their "as submitted" form and the customer is fully responsible for final proof and layout verification and approval prior to submission to the print process. premiercanopies.com DOES NOT make any changes on customer files. Once you submit an order to the print process you are agreeing that you are fully satisfied with the document layout and content and you accept responsibility for any errors therein. premiercanopies.com will assume that you have verified the spelling, grammar, content and layout, etc. are all correct and it will not accept any liability for errors such as misspelling, graphics, grammar, damaged fonts, punctuation, transparency, overprint, improper layout, bleeding, erroneous cut or fold lines, die lines or crop marks, sizing, etc. premiercanopies.com does not provide proofs of any order unless the customer requests it as part of the order process and it is an option available for the product. If you request a proof then it is your responsibility to verify the proof against the original (and to correct any spelling or grammatical errors, etc). Premier Canopies reserves the right to place a tag similar to "Printed by premiercanopies.com" on the printed material unless customer states that they would prefer it not to appear when initially placing order. There may be a fee added if you elect not to have a tag placed on your flyer. Under no circumstances will Premier Canopies tag business cards or reseller accounts. In order to receive the discounts associated with Premier Canopies's "Current Specials", you must input the appropriate/relevant promotion code when placing your order. If you do not input the appropriate/relevant promotion code, you WILL NOT receive a discount and discounts will not be applied retroactively after the order has been placed. If participating in company specials or receiving discounts, you agree to be a member of our mailing list; if you are not already and you also agree to authorize Premier Canopies to tag your printed flyer (see section 4) unless you are a reseller or otherwise agreed upon. Under no circumstances will Premier Canopies issue a refund. We only issue store credit. All credit card issues and/or disputes on products or services purchased by your credit card authorization from premiercanopies.com shall be dealt with between the customer and premiercanopies.com. By agreeing to these terms and conditions the customer agrees to never chargeback a purchase for any reason. Quotations are based on the accuracy of the specifications provided. premiercanopies.com can re-quote a job at the time of submission if the art does not conform to the information on which the original estimate was based. Orders placed with premiercanopies.com are to the client's knowledge correct, and there are no conditions or agreements relating to the order which are not written or accompanying said order. premiercanopies.com&apos;s liability shall be limited to the stated selling price to the customer of any defective goods, and shall in no event include special, consequential, incidental, indirect or similar damages, including without limitation, lost profits. premiercanopies.com warrants that every product manufactured meets the industry standard for that such product and is free of any material defect in workmanship. IT IS EXPRESSLY AGREED THAT THIS WARRANTY IS IN LIEU OF ALL WARRANTIES OF FITNESS FOR PARTICULAR USE AND MERCHANTABILITY. premiercanopies.com makes no other warranty and no actions or words of premiercanopies.com or its officers, employees or agents shall constitute a warranty. Any dispute between any of the parties hereto or any claim by a party against another party arising out of or relating to this Agreement or any alleged breach thereof, shall be determined by arbitration in accordance with the commercial arbitration rules then in force with the American Arbitration Association. The arbitration shall be conducted in Huntington Beach, CA and shall be subject to the substantive law of the State of CA. The decision rendered by the arbitrator shall be accompanied by a written opinion in support thereof and shall be final, conclusive and binding upon the parties in the dispute without right of appeal. Judgment upon any such decision may be entered in any court having jurisdiction thereof, or application may be made to such court for a judicial acceptance of the decision of an order of enforcement, and the party seeking enforcement shall be entitled to an award of all costs, fees and expenses, including attorneys fees, to be paid by the parties against whom enforcement is ordered. The fees and expenses of such arbitration shall be borne by the non-prevailing party, as determined by such arbitration. The customer represents that it has the legal right to produce all printed materials ordered from premiercanopies.com. In the event that a charge, claim or demand, or arbitration, action or proceeding (collectively, a "Claim") is made or commenced against premiercanopies.com based upon, relating to or arising from the alleged wrongful acts of the customers, or alleging that the printing performed or product produced by premiercanopies.com ordered by the customer: (a.) infringes any copyright, patent or other proprietary right of any person; or (b.) contains matter that is libelous, slanderous, defamatory, scandalous or obscene, the customer shall indemnify and hold premiercanopies.com harmless from and against any loss, damages, cost and expense arising from or related to the Claim including without limitation; (1.) defending premiercanopies.com against any such Claim (2.) paying any judgment or award against the customer; and (3.) reimbursing premiercanopies.com for any legal fees and expenses it reasonably incurs in responding. It is the client&apos;s responsibility to maintain a copy of the original computer files, artwork and transparencies. premiercanopies.com is not responsible for accidental loss or damage to media supplied by the client or for errors on supplied artwork furnished by the client. Until premiercanopies.com can evaluate digital input, no claims or promises are made about our ability to work with jobs submitted in digital format, and no liability is assumed for problems that may arise. Any additional translating, editing, or programming needed to utilize client-supplied files will be charged at our current rates. premiercanopies.com does not archive your work for longer than it takes to produce the final product. Please save your work! Charges for delivery of materials and supplies from the client or the client's supplier to premiercanopies.com are not included in quotations unless specified. premiercanopies.com is not responsible for delays and/or damage incurred during shipping. Title for finished work passes to the customer upon delivery to the carrier at shipping point; or upon mailing of invoices for the finished work or its segments, whichever comes first. If the "pickup" option is selected when the order is originally placed you will have 15 calendar days to retrieve materials. If more than 15 calendar days elapses the order is considered abandoned and Premier Canopies has the right to discard materials, unless otherwise agreed upon in writing. Orders that have delivery or shipping selected will be shipped immediately upon completion. Shipping carriers visit our plant mon-fri (4pm-6pm) and pickup completed orders, exceptions are holidays or if the office is closed due to inclement weather. If your order is not ready by the time the shipping carrier visits our plant, your order will be picked up the following business day. Airline cargo is handled differently, as we take those orders directly to the airport. If you will be picking up your order on a Saturday, please be aware Saturday pickup is a courtesy service and is by appointment only. If Saturday pickup is available you will be contacted prior to Saturday and be given an exact time that someone will be available; please be aware Saturday pickup is a courtesy service and is by appointment only. Claims for defects, damages, or shortages must be made by the client in writing no later than 10 calendar days after delivery. If no such claim is made, premiercanopies.com and the client will understand that the job has been accepted. By accepting the job, the client acknowledges that premiercanopies.com's performance has fully satisfied all terms, conditions and specifications. Any disputes on products or services purchased by your credit card authorization from premiercanopies.com shall be dealt with between the customer and premiercanopies.com. premiercanopies.com shall have the right to assign any portion of the work required to another vendor. If files are submitted and do not meet our bleed specifications, Premier Canopies reserves the right to add a border to the artwork. If files are submitted in RGB mode, you are authorizing Premier Canopies to convert the file(s) to CMYK mode. (converting files from RGB to CMYK may cause color shifting as well as other undesirable results). Print turnaround times displayed on the price calculator page are only estimates.  At Premier Canopies's discretion, if a job does ship by the estimated turnaround, Premier Canopies may issue a store credit towards the customer's next order, but the customer must request this credit. The amount of the credit is at the discretion of Premier Canopies. Resellers do not qualify for store credit. Exceptions to the issuance of store credit include, but are not limited to equipment failure/power outages, 3rd party shipping errors and "acts of god". premiercanopies.com may use your product for samples or advertising purposes. Our name will appear as "premiercanopies.com or Premier Canopies" on your credit card statement. premiercanopies.com may change, modify, add or remove portions of this policy at any time, and any changes will become effective immediately upon being posted unless we state otherwise.